The Industrial Technologies programs at Southern provides real-world experience in technical disciplines to prepare students for in-demand careers. 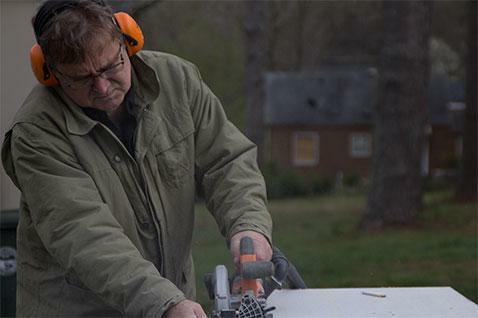 We offer a bachelor and associate degrees in Construction and Automotive areas. Students balance a liberal arts education with hands-on experience in the areas of woods, metals, printing, auto service, and construction. Practical applications complement coursework, which is designed to develop both field skills and entrepreneurial skills. Mission trips specifically designed for these majors provide valuable life lessons about the role of technology in advancing God's kingdom. In partnership with the School of Business, the department offers an auto-service management degree that requires 80 hours of auto service course work. Courses prepare automotive technology students to pass the Automotive Service Excellence (ASE) certification exams. Auto service students work in a fully equipped shop that includes cutting-edge equipment. 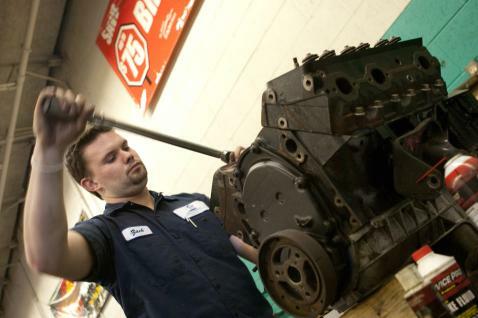 The auto service program is tailored to the eight basic ASE certification disciplines. The construction management bachelor's degree provides practical application through commercial summer internships. Day-to-day class work tackles real-life projects, such as repairing vehicles, creating house plans, and working on construction projects. Auto students work in a fully equipped shop that includes cutting-edge equipment. 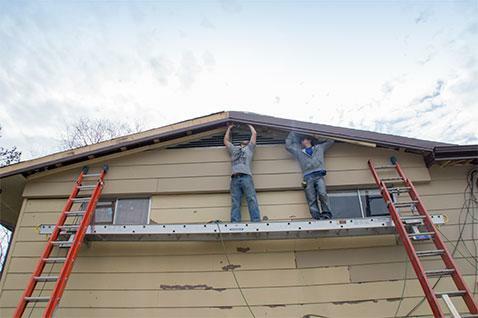 Construction management majors participate in all phases of construction to complete a home or apartment during the first year of coursework. They also learn from industry professionals who present on the legal nature of contracts, insurance needs, and bonding requirements, among other topics. Faculty introduce students to professionals who provide internships and employment opportunities. Southern is the only Adventist institution to offer an associate's degree in construction management. 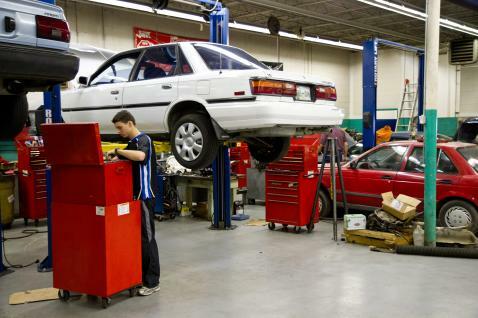 The automotive program is ranked in the top five such programs nationally by thebestschools.org. All auto students who maintained a “B” average while at Southern have passed the ASE certification exams the first time. Students who complete the auto service degree gain one of the two years of experience required for ASE certification as they work alongside certified staff. A professional advisory board provides guidance to the Industrial Technologies programs development and improvement. Out of 16 recent graduates of the auto service program, 11 have full-time employment in a related occupation and two are involved in mission work. Auto students from Southern's program have an 85 percent pass rate for the ASE certification. The Industrial Technologies facilities provide a wide variety of tools and many opportunities for hands-on learning. Automotive: The 10-bay shop with vehicle lifts in each bay is equipped to do anything from a tune-up to complete engine or transmission overhaul. A variety of major equipment items are available including computer diagnostic units and wheel alignment, wheel-balancing, and tire-changing machines. The shop is complete with valve-grinding equipment, a surface grinder, engine and part cleaners, and a full assortment of related smaller tools and equipment items. Each student is assigned a toolbox with a complete set of wrenches, sockets, screwdrivers, and other necessary items. Construction Management: This labs features equipment used in remodeling projects. Students also recieve hands-on learning and real-world job experience through summer internships working on commercial construction projects. Welding: The department owns 12 arc-welding stations along with eight stations for oxyacetylene welding and cutting. Equipment for tungsten insert gas (TIG) welding and plasma cutting also are available. Woodworking: Students have access to three table saws, two lathes, two thickness planers, a thickness sander, two jointers, miter saws, a radial arm saw, a drill press, a mortising machine, a shaper, and all of the related hand tools such as routers, drills, hand planes, and more. A federal push for more shop teachers indicates that qualified graduates are in demand.